Canadore College and WE are excited to announce a new partnership which intends to create a learning community focused on supporting leadership development both on campus and within the local and regional communities. The leadership program will bring students together from different cultures and empower them to become better local and regional citizens. We are currently seeking students that would like to participate in the leadership program. WE brings over a decade of successful youth development experience to our programs which incorporate a variety of social justice themes to facilitate development of leadership skills and global competencies including critical thinking, reflection, argument formation and action planning. You will participate in simulations, team challenges and discussions to discover new information and different perspectives. This process is defined in our Theory of Change, and it applies three key focal points to guide participants in the exploration of leadership development, social justice education, and civic duty. The focal points are: issue education, skill development and action planning. Canadore College has been working closely with WE to develop custom modules and case studies for the program that are reflective of Canada’s diverse cultures, traditions and knowledge, and will cover additional themes like anti-bullying, creating a caring and positive campus culture, active citizenship and more. 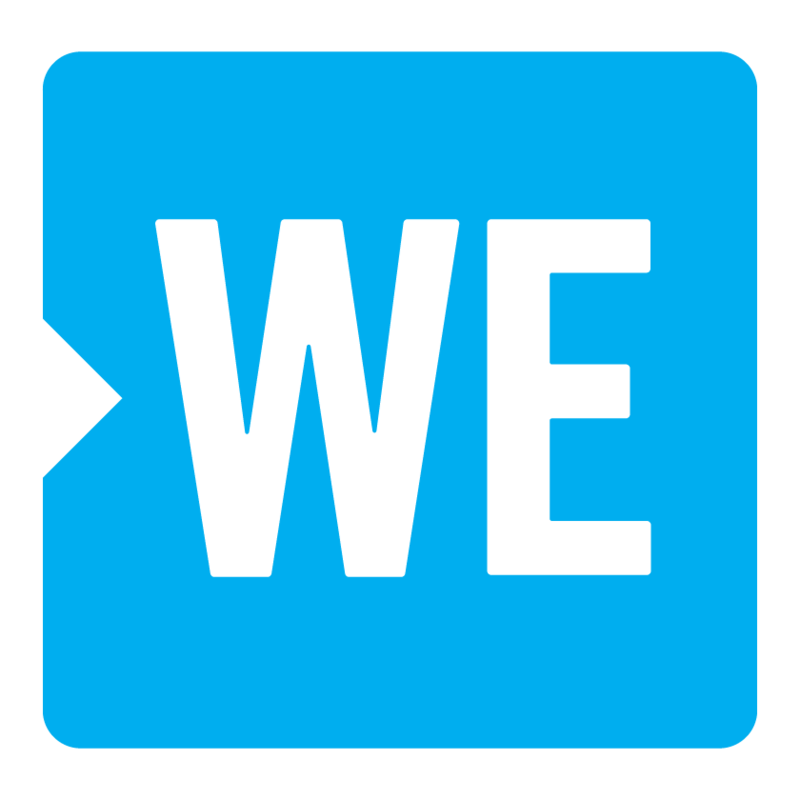 ME to WE’s programming is delivered by a team of passionate individuals who are committed to empowering young adults to make a difference in their local and global communities. Meet Shawn Jones Jr., from Windsor, Ontario. Shawn is studying Aviation Technician - Aircraft Maintenance, and chose that program to be able to broaden his understanding and love for the field of Aviation. Shawn decided to enrol at Canadore because of the amazing facility and the friendly staff. In his spare time, Shawn enjoys participating in many different events and committees, reading, playing sports, working out, and playing video games. Shawn applied to the WE Leadership program in hopes of expanding his knowledge, improving on his leadership skills, and making new friends. Shawn hopes to use his experience with the WE Leadership program to learn all types of leadership styles and combine them into what he does for a better way of making positive change. Meet Madison Mancini, from Ottawa, Ontario. Madison is in the Recreation and Leisure Services program, and chose that program since she has been working within the field since she was 16. "It was something close to home and that I knew I would enjoy." Madison chose Canadore because she found that the Recreation and Leisure Services program at Canadore was much more diverse and different than other similar programs at other colleges. In her free time, Madison enjoys running and training, as well as creating music. Madison applied to the WE Leadership program as a Senior leaders because "I had an incredible experience last year and want to help make those who are in the group this year feel how I felt, if not more." Madison hopes, as a senior leader, to "develop my leadership skills to push myself further then I have before." Meet Angela Proudfoot, from Toronto, Ontario. Angela is enrolled in Environmental Tech & Protection, and very passionate about conservation and making a change in the world. Angela chose to study at Canadore because of how great of a school it is and the environmental surrounding the campus was perfect for her area of study. In her free time, Angela enjoys hiking, volunteering, roller-skating, going on adventures, and crochet. The WE Leadership program was suggested to be an appropriate fit for Angela, and her goal is to do keep learning, evolving, and do what she can to change the world in a positive way while helping others reach their goals. Meet Josée Lefebvre, from Astorville, Ontario. Josée is studying Dental Hygiene, and chose Canadore because it is located near her family and she heard great things about the program. In her free time, Josée plays music, draws, writes and plays sports. Josée applied for the WE Leadership program because she’s been involved with WE multiple times and really admires what the organization stands for. Josée hopes to use her time with the WE Leadership program to make an impact in her school as well as her community.